It was called “The Snowstorm of the Decade”. 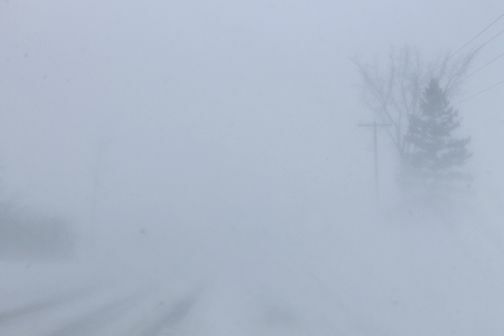 Heavy snowfall combined with gale force winds had created blizzard conditions. I had only a short window of time to get to my pickup before darkness set in. If I failed to reach it before darkness the chances of finding it in this storm would pretty much be nil. I would be lost, stranded and most likely perish in the elements. Fighting through exhaustion I kept pushing on, running against the biting wind all the while searching for hydro poles and roadside trees through the blinding snow to make sure I was still on the road. Pushing on, fearing I was running out of time before nightfall, I caught the outline of a vehicle covered in snow. 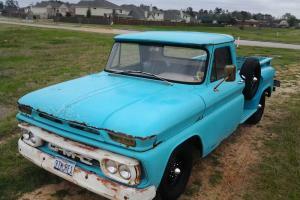 Coming alongside it, it was such a relief to discover it was indeed my pickup, my 1966 GMC half ton. It was the very same pickup I grew up with on the farm. I slumped over the tailgate exhausted. Strangely enough standing beside the pickup was the outline of a young lady with dark, wavy black hair. She was wearing a long black winter coat. Despite everything covered in snow, there was not a flake of snow on her which really puzzled me. When she saw me standing there she called out, “Carl, I haven’t seen you in so long. How have you been?” I recognized her voice first, and then as she came over and gave me a hug I recognized her face. She was Andie MacDowell, exactly as she appeared as “Rita” in the 1993 movie “Groundhog Day”. How she knew me so well I had no idea, and I didn’t dare ask questions. As she gave me another hug and said, “It is so good to see you again” I muttered out “Thanks” walked over to the driver’s door, opened the door and jumped in the truck. I jammed the long standard gearshift into gear. Ahead of me stood a steep hill that I needed to climb in order to reach the highway. Picking up speed I changed to 2nd, then 3rd gears as I hit the bottom of the hill. The windshield wipers was frantically trying to keep the windshield free of snow. 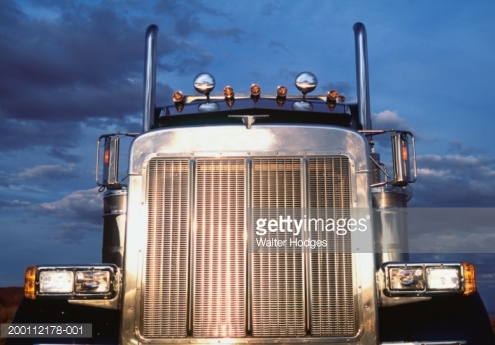 The engine was roaring as then truck pawed it’s way up the hill with rear tires wildly spinning. I was pounding my fist on the steering wheel (as if this would make it go faster). “Come on truck, you got to do this”. In what seemed like several minutes the truck eventually reached the top. Keeping the momentum going, through the blinding snow I turned a hard right onto the highway and was met with a loud, long blast of a transport truck air horn. It had me jumping out of my skin, and within a split second the truck blasted recklessly past me at highway speeds through that blinding snow. It had missed me by mere inches. I woke out of my dream in a cold clammy sweat. My heart was racing wildly. The entire air around me was filled with a deafening roar. I was not in my bed, and I had no idea where I was. I definitely was not in my bed at home. Perhaps I was still dreaming, but everything seemed so real. Through the darkness I reached to the side and felt damp tent fabric, and only just over a foot above me more tent fabric. I was in a sleeping bag in my backpackers tent. But why? And where was I? That dream I had was so vivid, but I had no idea where it came from. The transport truck part was easy. Driving on the 401 Highway at 105kph earlier that day I was following a transport truck by a (much too close) couple of car lengths. But I couldn’t ease up because a mere inches from my rear bumper was the grill of another transport truck going the same 105kph. Looking to my left my view was just in front of the 1st of 4 rear axles of another transport truck, going the same speed as me, 105kph. If I had to brake at all that truck behind me would be right into my back seat. And I definitely was NOT going to surrender those two car spaces in front to me. If traffic did slow quickly I could swerve out of the way and into the ditch. In what took several kilometers the truck beside me gained ground enough to pass, and the truck behind in turn went by me giving me a bit more breathing room. Feeling so anxious with a transport tailgating so close. As far as the rest of the dream goes I have no clue. The snowstorm. Our old beat up pickup from the farm which I have not thought about in decades. And Andie MacDowell. I assure my wife I am not infatuated with her. I enjoyed her role in the movie “Ground Hog Day” (which I have not seen in years). And I didn’t even know what her real life name was. Honestly! I had to Google it. My mind was scrambling trying to piece things together. Then through the darkness the light finally came on in my brain. 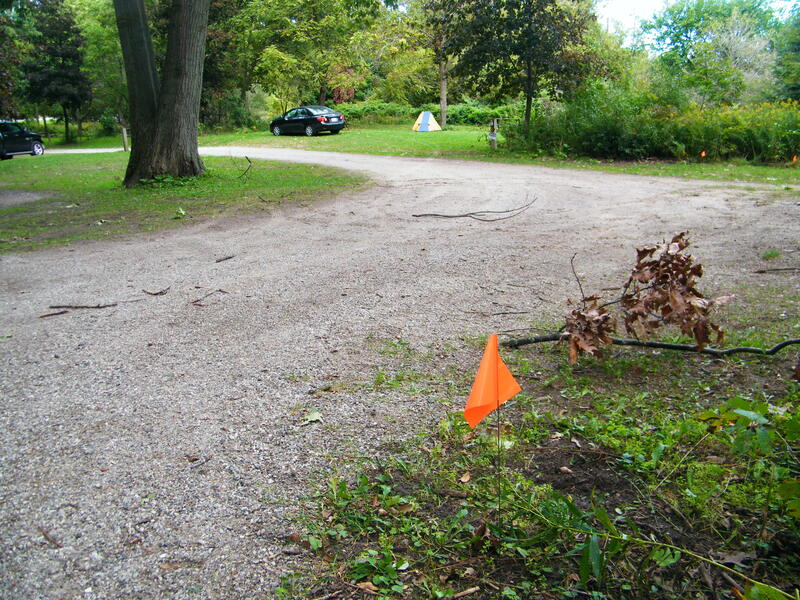 I was camping in Pinehurst Lake Conservation Area the night before my 50k trail race called “Run For The Toad“. Now getting my bearings I reached for my phone to check the time. It was 4:00am. I had been sleeping two hours. Before that, sleep had eluded me as extremely strong winds was pummelling my tent. And the deafening roar that I was currently hearing was a downpour of rain outside. My mind was in overdrive as I thought about those 50 kilometers of trail running that lay before me. Was the rain going to stop? And even if it did stop, what conditions would the trails be in? Even as I lay there, with my 58 year old 6 foot 4 frame cramped up in this tiny tent, I was questioning myself why I actually grabbed the smallest tent I own for my overnighter. It took me a good part of two hours to finally drift back to sleep, only to be woken at 6:15 by a conservation camp all terrain vehicle as it was revving it’s engine while roaring past just a few feet from my tent. It was still dark, but I decided I might as well get up and freshen up before the big race. 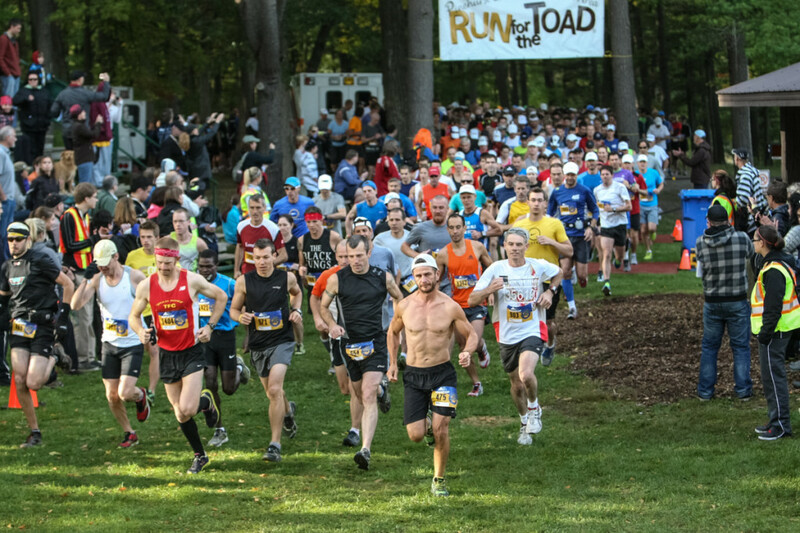 The “Run For The Toad”, once a small local race has massively grown in popularity. 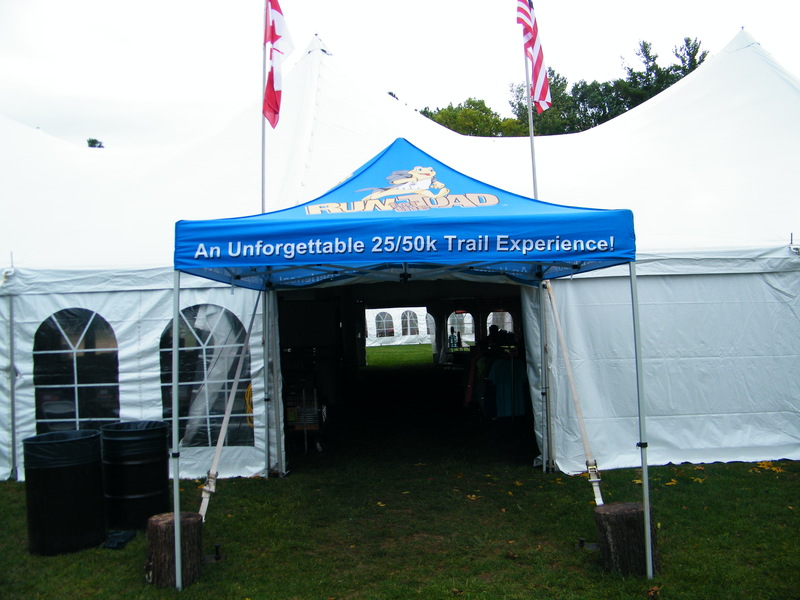 Now in it’s 15th year it has become Canada’s largest trail race and is a destination race for many runners across North America. It has a cap and it sells out very quickly each year. 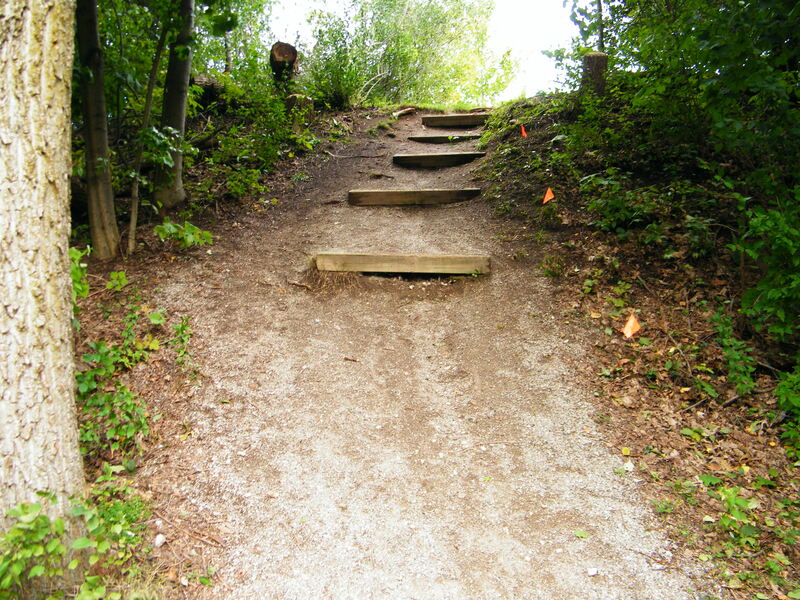 Canadian Running Magazine has listed this race as one of “Canada’s 10 Must-Do Trail Races“. 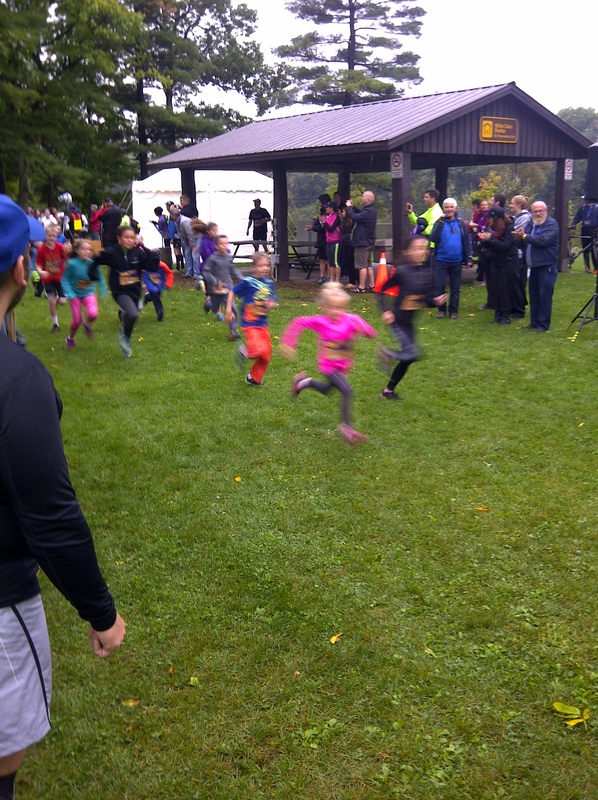 The 1st race of the day was the kids race. They had their very own bibs, and received the same quality finisher medals, just like the adult runners. Loved cheering them on as they raced their hearts out. Who knows, they might be the next generation of ultra runners. Crazy dreams aside I can easily see why. It is such a well organized event. And despite all the rain we got the night before, the trails were in incredibly great shape. The evening before the race I was spending some alone quiet time by Pinehurst Lake where the start and finish line was, and a man approached me inquiring if I was running the next day. He ended up being George Sarson. George soon introduced me to his wife Peggy, who together are race directors for the entire event. They were so personable, and in this contact where I felt so welcomed I can see why people say they have such a great race experience “running the toad”. Race directors George and Peggy Sarson (at microphone on left) during opening ceremonies. George emphasized that EVERY runner is important, whether a 1st time trail runner or an elite runner….you are all valued. The next morning I met up with Jess Heroux. Jess was that inspiring man I wrote about at The Creemore Vertical Challenge who had a stroke and yet continues to run these very challenging races. We hung out together for a least an hour, including taking in the opening ceremonies together. As we were running different distances, when the announcement came for my 50k we parted and I made my way to the start line. So wonderful to see Jess again inside the big tent. That man is SUCH an inspiration. At the start line I met up with Kristi, a fellow blogger and Twitter follower. Kristi put “the bug in my ear” regarding this race and it was so wonderful to finally meet her and her husband Michael that weekend at Run For The Toad. (Michael is also a runner and was running the 25k for this event). Kristi goes by @AverageRunnerK on her Twitter feed, (where photo is taken from after being posted from Run for the Toad) but actually she is very speedy, finishing 20 minutes ahead of me in this race. It was not before long an actual cannon was fired, signalling the beginning of the race. Spectators had lined the edge of the course for the 1st couple hundred metres or so. The start had a “big city marathon” feel to it with the race expo, the opening ceremony and the huge number of spectators present. 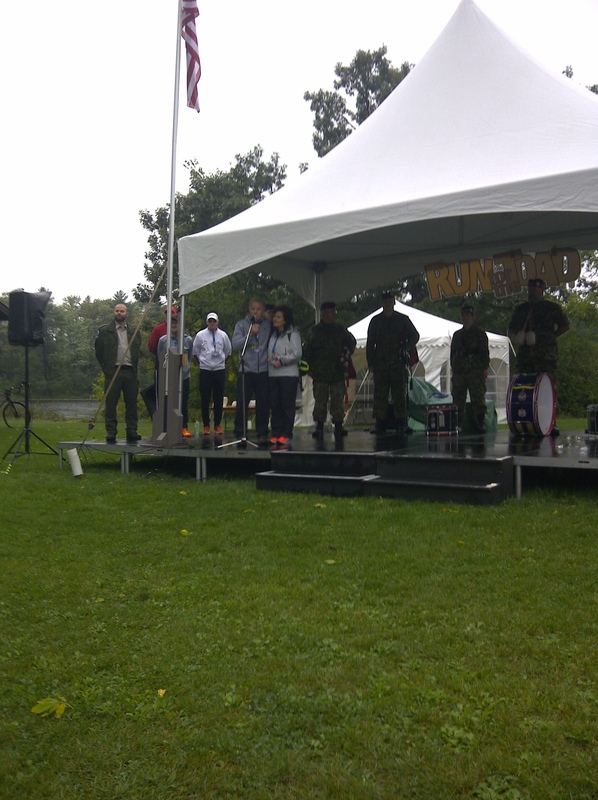 Start of the 2012 Run for the Toad, Paris Ontario. Soon it was digging deep on a course that I discovered was deceivingly tough. 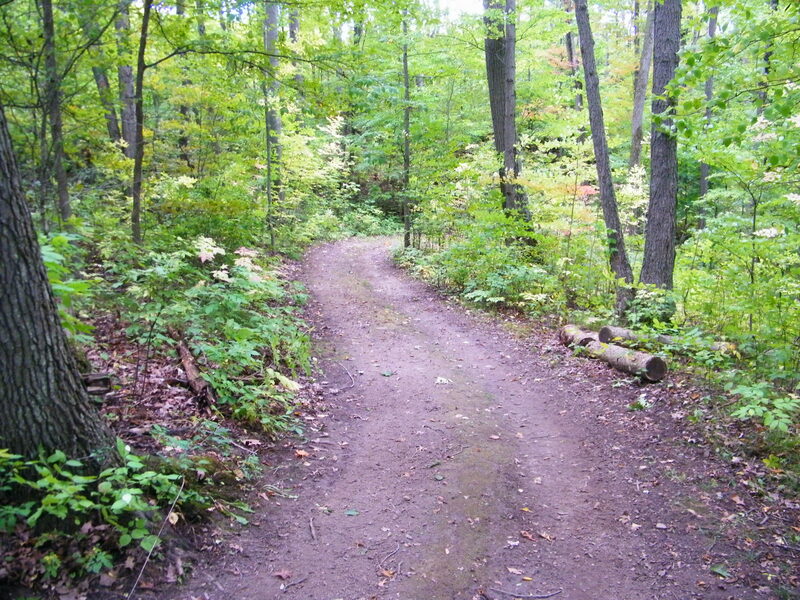 The 50k has 4 loops of 12.5 kilometers each. I had walked 10 kilometers of those 12.5 kilometers the previous day (and was taking pictures of the course). There wasn’t the monster hills like at The North Face. There wasn’t the obstacles or technical terrain like at Pick Your Poison. 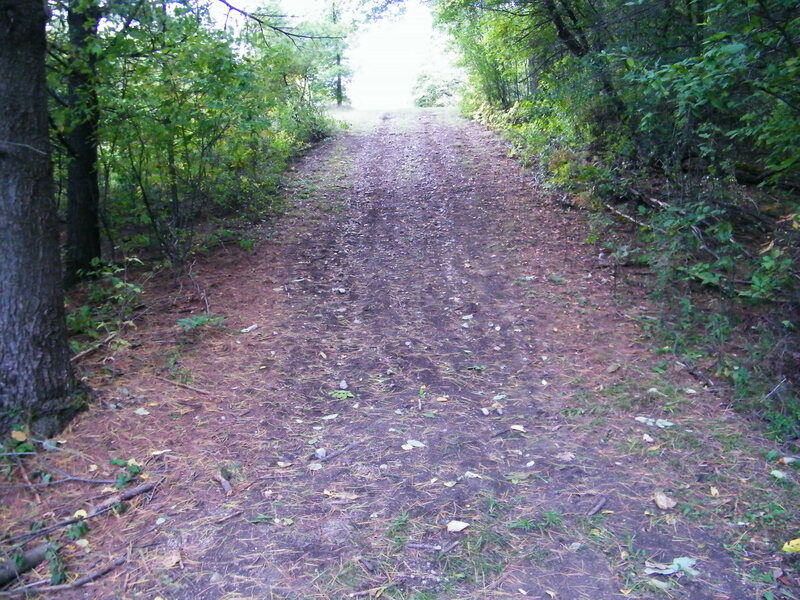 The trails I would actually describe as “groomed”. Some parts of the course ran along the edges of fields with the grass trimmed nice and short. What the course did have was a LOT of short steep hills mixed in with many long gradual hills. The course was a constant up and down. As the race wore on, these very hills began to beat me up and wear me down. There was hardly any flat ground at all here. One of the many hills described as short and steep. Aid stations were well stocked and the volunteers were friendly and very personable. By the time I was on my 3rd loop most of them knew exactly what my preferences were. 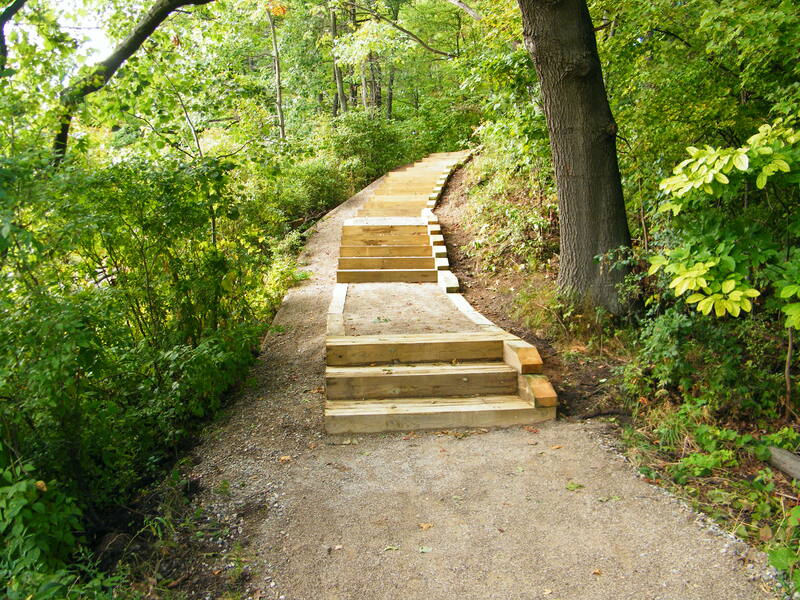 One hill close to the lake had stairs. As with other races I loved meeting and conversing with other runners on the course. There was the musician who commutes to Toronto each day from Kitchener. Running was his release. 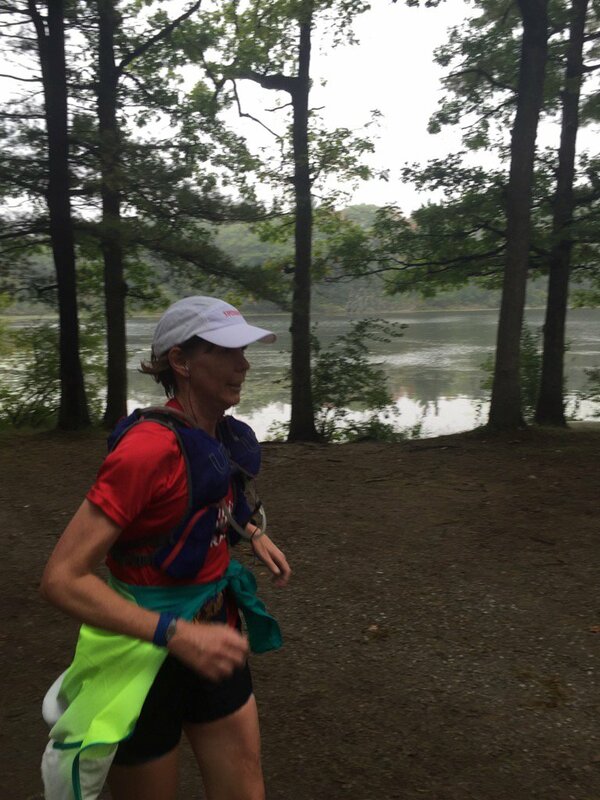 There was the lady who completed the Haliburton Highland 100 Miler just a few weeks before. Still feeling the effects of that 100 miler (161k’s), she said she was struggling with this race. 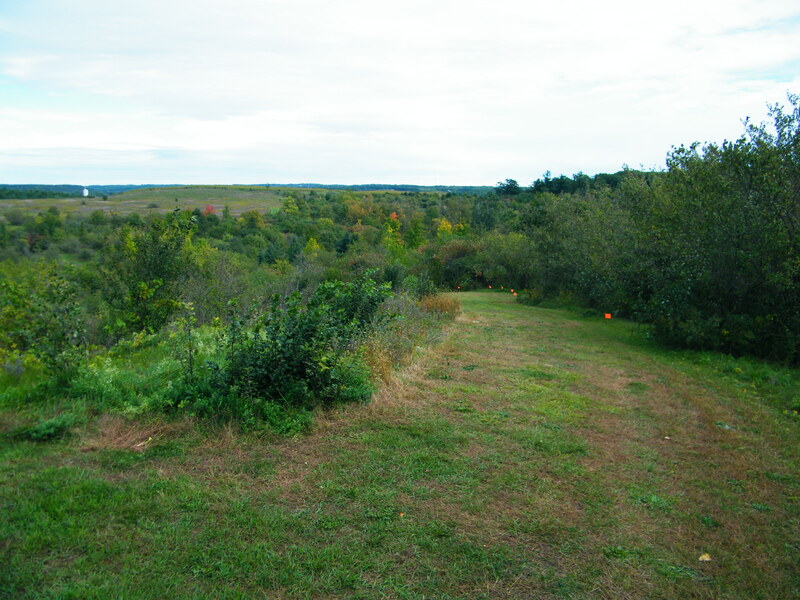 The course drops through the forested valley and comes up on the other side. I ran with Jess for a couple of kilometers. He was completing the 1st of his 2 loops, and I was finishing the 2nd of my 4 loops. Am always so amazed with Jess’s will and determination. More of those short steep hills. Always amazed with Jess and how he handles them with his will and determination. Closing in towards the end of the race, I ran for about a half a kilometer with Canadian running legend Joe Cleary. 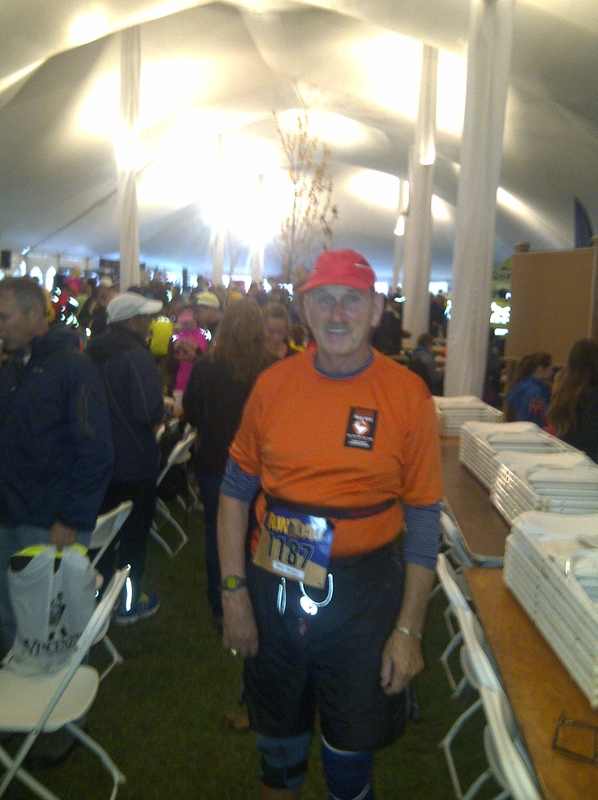 Joe was a chain smoker turned runner and at age 45 ran his 1st half marathon. Since then he has completed 537 full marathon distance and longer races (and still counting). With about 2k to go Joe pulled ahead and he finished about a minute ahead of me. Every trail race is so different, so I don’t put too much emphases on personal bests, and I don’t set a goal before a race. It was only when I arrived home and looked up my time I found out I beat my previous best 50k by 37 minutes. It was very nice to find this out. Back in the big tent I was treated to an AMAZING meal that included raw veggies, Asian slaw, Greek Penne salad, quinoa salad, barbeque lemon ginger chicken breast and fresh fruits and pies. I am always appreciative of any post race food for my recovery. But this was such a pleasant surprise from the usual post race menu of regular city marathons I have run which is typically a bagel, a banana and a yogurt. It was one more night in the campground (thankfully no crazy dreams), and then back on the highway heading home. Fortunately it was early Sunday morning and traffic was much lighter this time around. 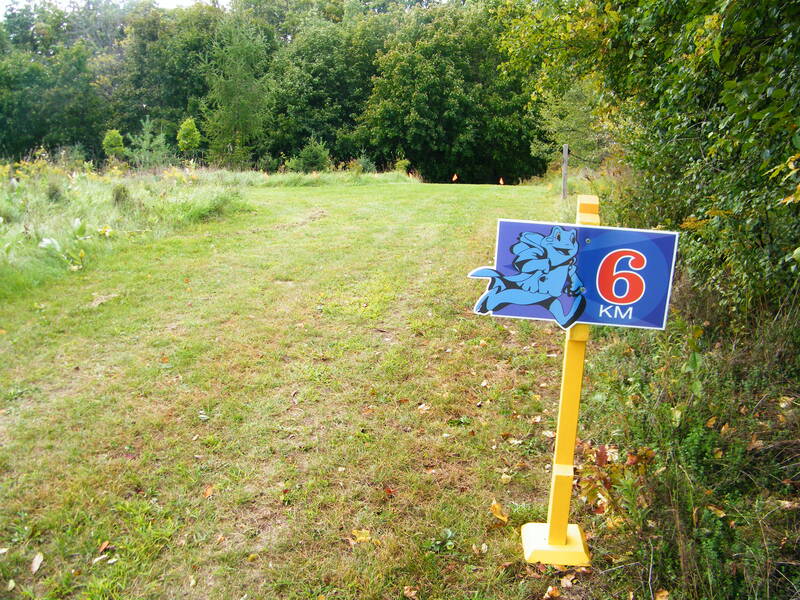 It looks like a challenging, beautiful course! Thanks Judith. It really was a tremendous course. And I now know why it has become so popular. Just awesome Carl, what great post. I was a bit fooled in the beginning, worried about you being stuck overnight outside in a snowstorm until Andie McDowell made her appearance and I realized you had to be dreaming! What a fu way to start a post. The race looks great, full of beautiful scenery and happy people. I love how you personalize these events Carl, as I really get a good grasp of them through your writing snd photos. Hope all is well Carl! Thank you for your wonderful generous comment Tricia. Hoping this type of winter weather is still a few weeks away, though they did get some snow in Western Canada. 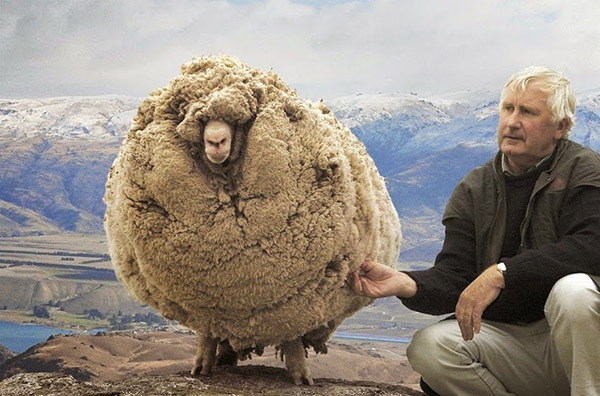 A reminder that winter is on it’s way. Thank you so much for your concern for me being stuck overnight in that snowstorm. I have never had such a vivid dream as that in such a long time. It really was a tremendous event. I was amazed how far runners would travel to attend this. A lot of American runners there, and it was a nice touch to have both the American and Canadian national anthem sung. Congrats on another great run! Your nightmare scene had me in a cold sweat. Yikes! LOL…thanks so much Sue. So glad it is not every night that I dream like this, otherwise I would not want to go to sleep. I have crazy dreams like that before my races too. Sounds like a great event & the course looks beautiful. Congrats on a great finish! WOW, so glad it is not just me Teresa. I imagine from feeling a bit anxious of race day the dreams can get quite intense. The pictures were from the day before when I hiked most of the course. With the rain the night before the course was still in pretty good shape. It really was beautiful. Aren’t dreams odd? I just can’t figure them out sometimes, but I do enjoy sharing the “odd” one with friends. Our brains are pretty cool. Now onto the race – wow! Great job. I love how you focus on the folks you meet and the race directors. And I have to say, you have re-inspired the ultra spark in me. I am so excited to hear there could be very well an ultra in the horizon for you Angie. This is so cool. I know you would be awesome and are a smart runner. You listen to your body example for sure would be your wolverine), and are very patient. I do love the ultra community very much. Add a few loops to your summit run and you have an ultra. But I think with yourself Angie as race director it might be more work than you would want to take on. Yeah dreams can be very odd, and we think…”where did that come from”? Definitely cannot figure them out. Wow! Your dream had me on the edge of my seat, wondering where it was going and what was going to happen next! Race anxiety manifests in such strange ways. This sounds like an amazing race. Thank you for sharing so many wonderful details about the course and the experience. My pleasure Kim. The race certainly did live up to the hype of a “must do” event. Even with the expo being there, which is something you find with city marathons. There were several running related companies set up in the expo. I never hit me until you and others have shared about “race anxiety” and the dreams that come out of the anxiety. Always quite the way to lead up to a race…lol. Thanks for a great post. You had me confused at first, but the dream fits into the blog perfectly. Congratulations on the race. Love the name Running of the Toad. Found it very interesting hearing from other runners that I was not the only one experiencing strange dreams before a big race. Amazing what a bit of anxiety can do. Great post Carl….you had me sucked in during the blizzard….puzzled during the Andie Macdowell encounter and then enthralled with the actual Run for the Toad…I could feel myself running the course….thanks for sharing!! Haha…thanks Kirt. Sorry about all the confusion. and so wonderful that you “hung in there” until the race. You would be a great long distance runner. It really was such a great course. Glad you were able to run the course yourself. That was some dream and quite a hook into your post. I loved the Groundhog Day movie too. I really enjoyed how Bill Murray’s character grew over the time. I always wonder if I had that kind of experience, if I would use the time to master something like the piano too. Loved how Bill Murray’s character did become more positive over time such as with his piano playing. And helping the ladies with the flat tire, saving the boy who fell out of the tree and what was it….saving the life of the man choking or having a heart attack. I would LOVE to master the piano like that as well. Such a cool movie that never seems to grow old no matter how many times it is watched. So strange though it has been at least a couple of years since I have seen it and yet have “Rita” show up in my dream. Quite the start to race day. See you soon at a race! Pierre, you had me laughing so hard. I never thought about Ellie Greenwood looking like Andie MacDowell. But now that you mention it…LOL! So amazing that you have raced the toad for 12 years. No doubt you would have witnessed it growing in size as the years went by. But so wonderful to support Lee Anne with her art. She has such a skilled craftsmanship with her pottery. I loved meeting George and Peggy the evening before and it was so random. I was just out for a quiet walk when George came over and introduced himself to me. George and Peggy were so welcoming and personable. Thank you for stopping by to read and share your generous comment! What a strange dream before waking up to this wonderful experience – maybe that was your warm up! This is almost a fairtytale setting for a run and yes, it does look deceptive. But it looked like a beautiful day to run. And what is great is the people you meet – specially those you connect with virtually and then in person. A sense of kinship right? P.S. Why is this called Run for the Toad?? Thank you so much for reading and sharing such a generous comment Prajakta. It really was an enchanting course. The heavy rain had stopped from the night before race time and during the race it was overcast and off and on during the 1st couple of hours a very light misty rain which made it feel fairy-tale like. As well as tremendous conditions to run in. I always love meeting new people. The one blogger we had been following each other for over a year and it was so neat to finally meet her and run the 1st portion of the race with. It was like we knew each other due to the virtual connection. Not a wonder why you dream that way as your motor is always running, running and running. It seems like your always escaping though?, dream-wise. 🙂 I’ve had those vivid dreams before, and those dreams within a dream too. Dreams are so fascinating, strangely enough the ones that are most vivid (or at least recall the most) are when I am sleeping in a tent. And those dreams within a dream are really amazing. This made me miss the trails, Carl! Well done on your PR!!! Thank you so much Fleck. I love the trails so much. Yesterday I ran a 10k road race with MEC Barrie except I ended up running along the dirt shoulder, as I preferred it so much better. A runner came up from behind and said “you must be a trail runner”. 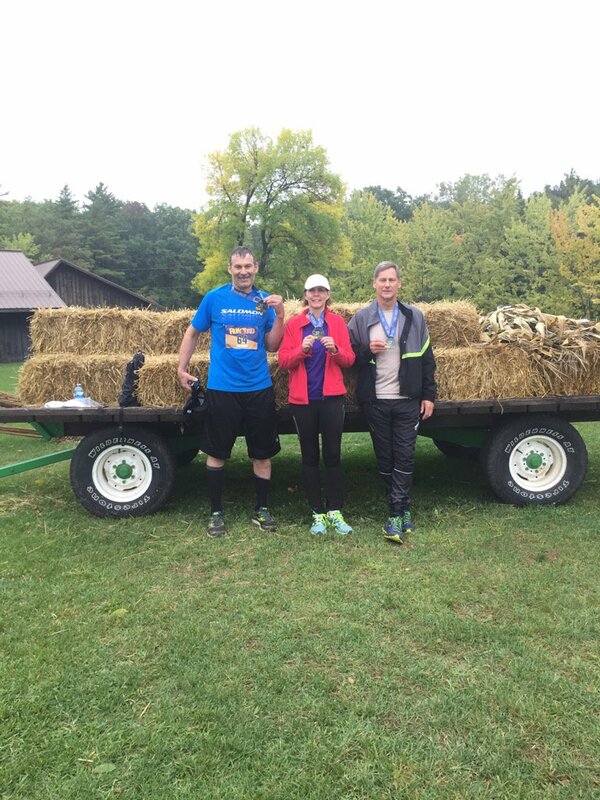 We ran together for 4 or 5 k’s, and as a trail runner herself we swapped trail event stories. Loved the camaraderie. Made yesterday’s 10k go by so fast. I hope you are well and had a great year. Been wondering on how you made out chasing Boston. Congratulations setting a new 50km PR! I wanna run some trails like that now! It looks so peaceful and green there. You’re lucky to have it on your doorstep! Thank you so much Natalie. I really appreciate this. I run mostly for the experience so never run with a watch, Garmin or any timing device. And never really know how my finish will be until I either see the results posted at the race or online at home. It was indeed a pleasant surprise to find out I got that PB. It really was a beautiful course and so green. I think you would really love this course. The race was just a couple of weeks before the leaves would have changed colour, but there were a few trees that were just starting to change during the time of the race. I am indeed very, very fortunate. I only use a running app for kilometres. I hardly look or analysis current or average pace! A watch if I know I have to shift it and not spend too long on the monkey bars! Some trees here are changing colour but for the most part, most don’t change until the end of December. One thing I do miss about the UK is autumn/fall colours. Congrats once again on acing your PB and have a great week too! 🙂 You can get some good free running apps and set what feedback you want: distance, average pace, current pace etc. Or no feedback while running if you wish! I hardly ever see the marked distances running. Not all races here have them every km. 5km in a 10km race yes, ones that do more often, I miss them! 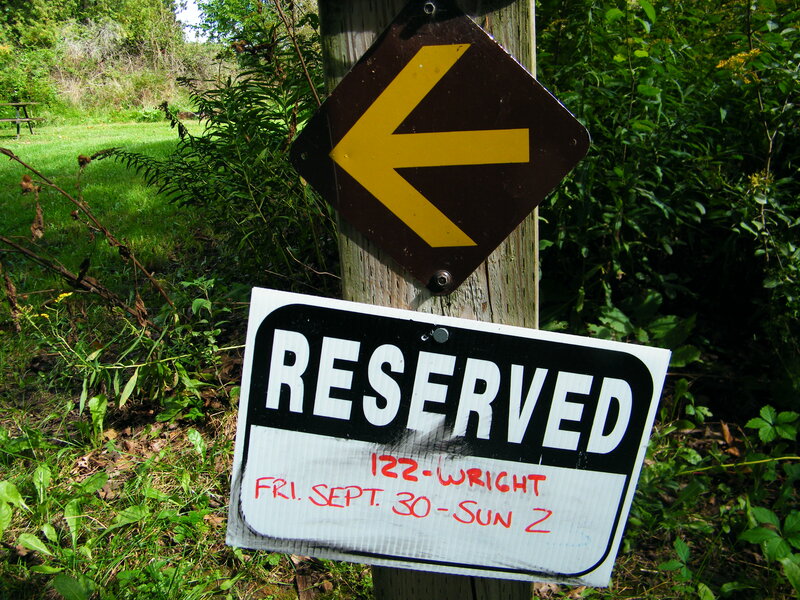 I do tend to be very nervous and intimidated the week before a 50k race. Finding other runners along the course to chat with really helps, and those hours running goes by so much faster. I really enjoyed your write-up! How can I not? Running, a classic pick-up, and Andie McDowell! I usually dream at the night before job interviews. More about me being nervous I guess..it;s funny how we can remember the dreams after waking up. Congratulations on your new 50km run record! 37 minutes faster is impressive!! So sorry I missed your comment Indah. Was pretty much off line all of Dec. when I was in New Zealand. Dreams are so fascinating, ansd I do imagine it is that nervous aspect like a job interview or a race.